British actress Lydia Kay was born in Leighton Buzzard, Bedfordshire. Daughter to an artist and a guitarist she naturally grew up creative in many ways. From an early age Lydia decided that acting was the career for her, and everything she has achieved since has been in pursuit of this dream. When she was seven she first trod the boards with a local amateur dramatics group, and later went on to perform many times with the Leighton Buzzard Children's Theatre. It was through work with this group that Lydia began to fully realise her potential, not only with acting but singing and dance also. By the time she was headed for drama school Lydia had twelve years of experience on stage, as well as seven years training in dance (styles including street, jazz, modern and ballet). Lydia trained for three years at East 15 Acting School on the BA (Hons) World Performance course, and is privileged to belong to its first ever graduating year. The course was a valuable eye opener for Lydia, teaching her to strive for what she wants and exposing her to a huge range of different global performance techniques, which both intrigued and inspired her. 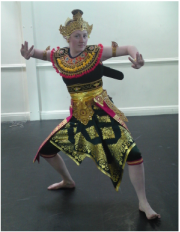 The intensive training enabled her to develop her performance in Western acting styles but also to learn new disciplines such as Jingju, Balinese dance, Kecak, traditional Nigerian dance and drumming, Butoh and many more. Since graduating Lydia has been acting almost non-stop, with a great desire to progress into film and television. She has performed at the Camden Fringe Festival, had numerous scare acting jobs at major attractions, and has been warmly welcomed into the world of touring Pantomime. One of the greatest opportunities that she had was the chance to perform everyday at the London 2012 Olympic and Paralympic Games for Coca-Cola, in their interactive Beatbox building. An experience which has since influenced her to take up archery. She has also completed filming on the short film 'Clinical' and independent features 'Survivors' and 'Christmas Slay', and is currently filming for the high profile independent film 'Invasion of the Not Quite Dead'.